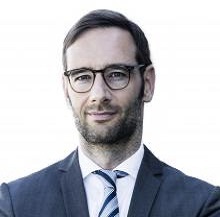 Marc Steffen Rapp is Professor of Business Administration and head of the Management Accounting Research Group at Philipps-Universität Marburg (Germany). He is a member of the Marburg Center for Institutional Economics (MACIE) and a Scientific Co-Director of the Center for Corporate Governance at Leipzig Graduate School of Management (HHL, Germany). His research interests comprise all aspects of financial management, financial markets, corporate valuation and corporate governance related to institutions and regulation. His research has been presented at various international conferences and subsequently published in well renowned journals, such as the Journal of Corporate Finance, the International Review of Law and Economics, the Journal of Applied Corporate Finance, the International Business Review, the Review of Managerial Science and Public Finance Analysis. Marc Steffen Rapp is mong the top 1 percent of downloaded authors from Social Science Research Network, the leading online repository of academic working papers in the social sciences.